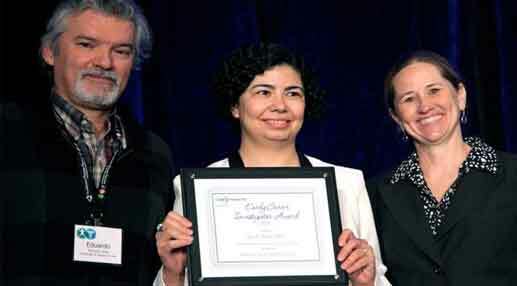 Dr. Ayse Gurses, a native of Turkey and a human factors engineer here at the Johns Hopkins Armstrong Institute for Patient Safety and Quality recently received an award from the Federation of Associations of Behavioral & Brain Sciences (FABBS). Dr. Gurses received the Early Career Investigator Award for her work to improve the safety of patients who undergo heart surgery. 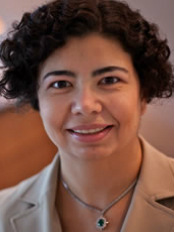 Ayse P. Gurses, PhD, is an assistant professor in the Johns Hopkins University School of Medicine. She received her PhD in Industrial Engineering at the University of Wisconsin-Madison in 2005 and completed her postdoctoral training at the University of Maryland-Baltimore in 2006. Her areas of expertise include human factors engineering and patient safety. Before joining the Johns Hopkins University, she served as a faculty member at the University of Maryland-Baltimore and the University of Minnesota. Her current research focus includes improving patient safety in the cardiac operating room, transitions of care/ handoffs, care coordination, compliance of providers with evidence-based guidelines, and nursing working conditions. She has extensive experience with working in interdisciplinary research environments and collaborating with clinicians on human-factors related projects. Her work has been funded by the Agency for Health Care Research and Quality, National Patient Safety Foundation, National Science Foundation, Society of Cardiac Anesthesiologists, and the Robert Wood Johnson Foundation. Dr. Gurses has published in a variety of journals including Applied Ergonomics, Journal of the American Medical Informatics Association, Journal of Biomedical Informatics, Health Services Research, Quality and Safety in Health Care, Joint Commission Journal on Quality and Patient Safety, Critical Care, Nursing Research, and Intensive and Critical Care Nursing. She is currently the Chair of the Health Care Technical Group of the Human Factors and Ergonomics Society. She is also the associate editor of the IIE Transactions on Healthcare Systems Engineering Socio-Technical System Analysis Department.